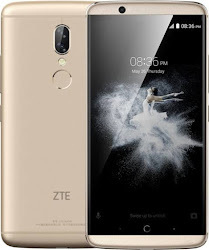 ZTE has launched yet another monster device called ZTE Axon 7S, which is the successor to the ZTE Axon 7 (that was launched late last year 2016). ZTE Axon 7S is a 4G LTE smartphone that runs on stock Android 7.0 Nougat straight out of the box. It has a 5.5 inches AMOLED touch screen with multi touch feature. ZTE Axon 7s is also powered by Qualcomm MSM8996 Snapdragon 821CPU, Quad-core (2x2.35 GHz Kryo & 2x1.6 GHz Kryo) chipset. Packs a 6GB RAM and 128 GB Inbuilt storage, which the memory can be expanded via microSD card of up to 256 GB (uses SIM 2 slot). That's not all, see the rest of its specifications as well as the price below. ZTE Axon 7S Specifications. ZTE Axon 7S release date. ZTE Axon 7S price in India, Kenya, China, USA, Europe. This phone almost has it all but no Infrared. And the battery is low for that kind spec. Loving your new featured post layout though. Baddest programmer! !